Photo Chad McCullough and Bram Weijters Quartet courtesy of the artist. A meeting of Stateside greats Chad McCullough (trumpet/flugelhorn) and Seattle’s John Bishop (drums) with Belgian friends Bram Weijters (piano/keyboards) and Piet Verbist (bass). 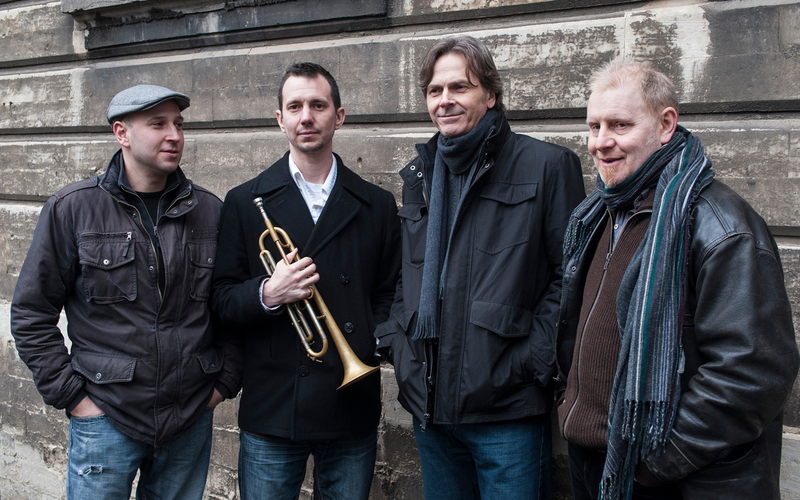 Much traveled and recorded in Europe and the US, the quartet plays tight, stylish, captivating jazz.